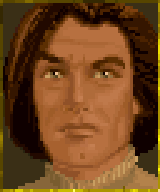 Baltham Greyman is an influential Breton who was once a talented scholar in the Mages Guild. Because of the Guild's (from his point of view) inflexible structures, he turned his back on the Mages Guild and is practicing magical studies on his own, badly displeasing the Guild. Overall, he does not seem to be a vicious or evil sort of character, but rather an impatient one. He is the protagonist of a mini-questline of the Mages Guild. Former Student Part I: Hunt down or befriend a former student practicing unsanctioned magic. Former Student Part III: Help the renegade mage find a lost magical item. 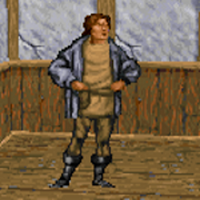 Although the character of Baltham Greyman technically exists in the base game, he does not appear unless the CompUSA Special Edition Patch is installed. This page was last modified on 11 December 2018, at 07:42.